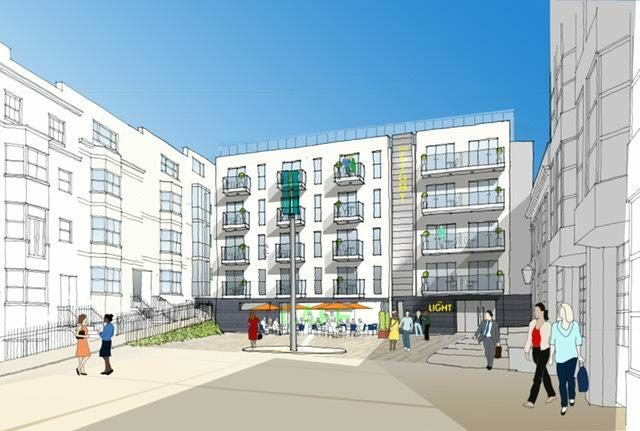 On behalf of Supercity Aparthotels, leisure property specialists Davis Coffer Lyons has been instructed to secure a restaurant or gastropub operator for the group’s new site on Queen Square in Brighton. The group, which currently runs aparthotels in Clerkenwell, Chancery Lane, Earls Court and Manchester, has named the Brighton scheme ‘Q Square’, and built it upon the 26,000 sq ft site which was formerly home to Brighton’s ice rink. The A3 space available to let at Q Square is arranged on the ground floor and benefits from a large outside terrace. The 3,000 sq ft premises are available in a shell condition on a new lease and rental offers are invited in excess of £65,000 per annum exclusive. Spread over six floors, Q Square will house over 60 fully furnished apartments of one and two bedrooms and includes a concierge, dry cleaning and maid services.